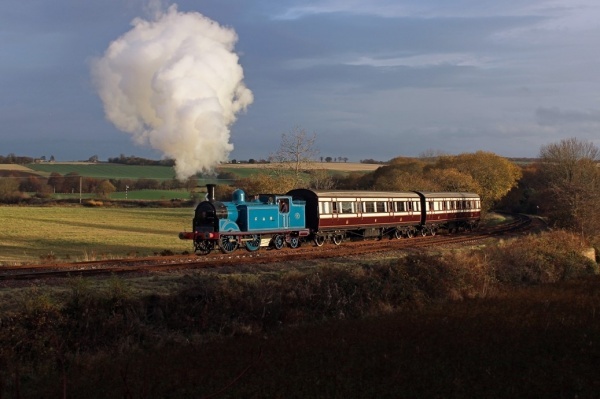 The Churnet Valley Railway is gearing up for its season opening event once more, and the excitement is starting to build as the star guest has now arrived in Staffordshire ahead of its CVR debut. Former Caledonian Tank locomotive no. 419 has been hired for the annual Winter Steam Gala along the 10 mile railway, and will be making her first public appearance in England since 1982! Based on the Bo’ness & Kinneil Railway in Scotland, the locomotive is the flagship of the Scottish Railway Preservation Society having been preserved by the group in 1964.